Our good friends from The Toasted Lane accompanied us to a project at European Autobody. We were called to give the freshly repainted Ferrari FF a full body SunTek Ultra Paint Protection Film wrap. We did what we like to call a hybrid installation of the Paint Protection Film. Half the vehicle is wrapped with pre-cut templates; the other half is wrapped in bulk. Any pre-cut template that we produce, we extend all the edges to meticulously wrap all edges. This is usually done on panels that we know the kit will give an excellent wrap and protection. Other panels we like to hand cut. Some kits offer excellent coverage for panels such as bumpers. Doors, hoods, rear quarter panels, roofs, and fenders we like to wrap in a bulk method. This allows us to custom tailor all the panels for a perfect fit and finish. All edges and corners are wrapped to perfection, making the SunTek film go completely invisible. 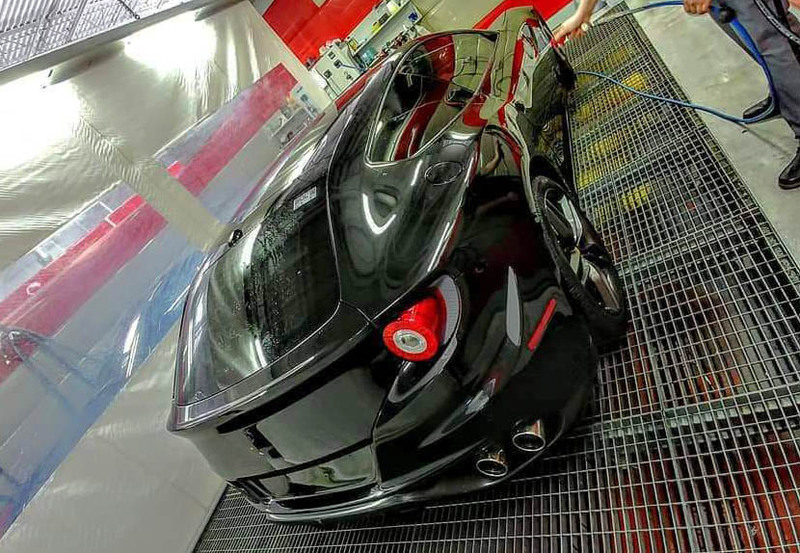 After we finished wrapping the Ferrari FF in SunTek Ultra PPF, the car was shipped off to the crew at All In Detailings. Mike and Dario coated every square inch of the FF with Ceramic Pro. The wheels were removed and fully coated, calipers were polished and coated, whole engine bay was thoroughly detailed and coated, the interior was coated, and of course the SunTek wrapped body was coated with Ceramic Pro. Check out the video to see the whole process yourself. AP Shield has solutions to keep your vehicle looking "forever young". Specializing in PPF, we have the experience you can trust to keep your vehicle preserved from anything the Canadian roads throw your way.